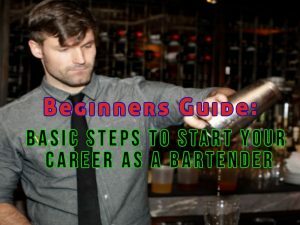 So you have decided to become a bartender, and you wonder if you need a bartender license to be one. Depending on the situation the answers varies. If the establishment that you are applying does require bartender license, then it is a definite no. However, if the bar or establishment requires their bartenders to have one, then it is definitive yes. Mandated by law – Some states or counties have laws concerning this. One reason here is to ensure that the applicant is at a legal age. Advertises your skill – Employers want the best or at least a competent bartender for their establishment. Your license shows that your skills are qualified or good enough for them. Employment discernment – Some establishments likes to cut corners in service and product. They could also have a lack of oversight, rules, and regulations. These kinds of places usually take in unlicensed bartenders. It may seem a blessing, but you are better off getting a job on bars that require a bartender license since they are more stable compared to the others. 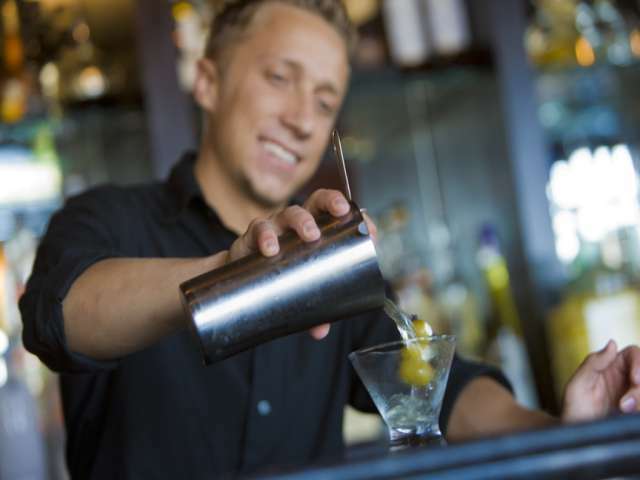 Gaining new skills – To get a license you need to go to a bartending school. Here you can learn new skills and be more knowledgeable when it comes to your chosen profession. Experienced bartenders teach in these schools. Job employment insurance – Once you’re employed, you will be given a grace period of 30 days or more to see how qualified you are for the job. In most cases, the manager of the bar will set you aside or at worst case scenario fire you once he or she realizes that you are not licensed. Also having a license can get you the job a bit faster. → Bartender licensing or certification has various laws governing it. Be sure to learn the laws of each state. The laws for the minimum age eligible for licensing and the licensing criteria differ from each state. Know the law of the land helps you a lot. → Learn or enhance your bartending by enrolling in a bartender school. Some of these schools allow you choose what training you want to learn while others have specific classes for their students. Just go with the one that suits you. An alternative method is that you can learn from an online course. → Obtain a registration form for the license. Fill in the required parameters and complete it. The registration form is available at the local police department or the sheriff’s office. The health department also gives out these registration forms, but only in some jurisdictions. → The license has a fee so be sure to pay it. The payment fee amount varies from the state that you are currently in. It could be expensive or affordable. → All that remains for you is to pass the required test. The test also includes laws and regulations in serving and consuming alcohol, checking the IDs before serving alcohol and knowing the dangers of alcohol over-consumption. How to be a good Bartender? 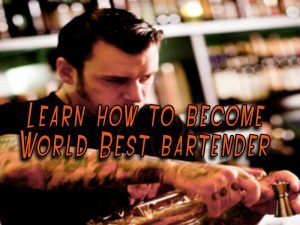 What are the courses that you can learn from a bartender course? Communication – Bartending is a social type of job so you will have to take this course. Through the use of lecture, independent learning and exercises you will practice listening, writing, speaking, and reading. Employers consider this as an essential skill for all their applicants. Bar Cost Control – Learn how to be cost efficient when operating the bar. Topics like beverage pricing, purchasing, inventories, receiving procedures and beverage pricing are some of the subjects taught in this course. Enology – Another essential skill for bartenders. Topics include sampling, taste analysis, dominant flavors and methods of production. Mixology Practical – Manual dexterity of high caliber is needed to produce some of the famous cocktails. Here you will learn how to adapt to varied setups of the bar, familiarize yourself with beverage products, and equipment. Bar Law – You will learn how to understand bar employment, labor laws, human resources, responsible alcohol service and regulations on hospitality liquor laws. Customer Service – Learn how to develop strong skills in customer service, proper attitude, and hospitality. The highlights of this course are learning body language, dealing with customer complaints, good team building, and rapport establishment. The cost of attending and learning in a bartending school differs from school to school. The range of the cost is somewhere $200 to $400, but there are some expensive schools. An example would be the New York Bartending School whose comprehensive 40-hour class cost $600. As mentioned earlier getting a license for bartending is optional. If you want to get into this kind of job but lacking the skills and the knowledge of drinks, liquor, barstools, etc. you should consider this option. A word of caution: some courses have training that consists of watching basic training videos and recipe reading only. These kinds of courses are unreliable and substandard to say the least. If you are going to spend money on quality training, spend it on a well-accredited school. For more info about good quality, schools check the Alcoholic Beverage Control (ABC) Commission’s information board for a list of accredited schools. Bartender Certification: States with bartending schools. Here is a short list of states that have these kinds of schools. You can get your required bartender certification once you pass their courses. ∼ Florida – This state’s Bartending schools are located in Key West, Orlando, Tampa Bay, Fort Lauderdale, Clearwater, Jacksonville, Miami and Daytona Beach. ∼ Philadelphia – Allentown and New Jersey have five campuses for the Mixology Wine Institute. ∼ New York – The city of New York has a campus here, and they now have other campuses in Fort Lauderdale and Manhattan. 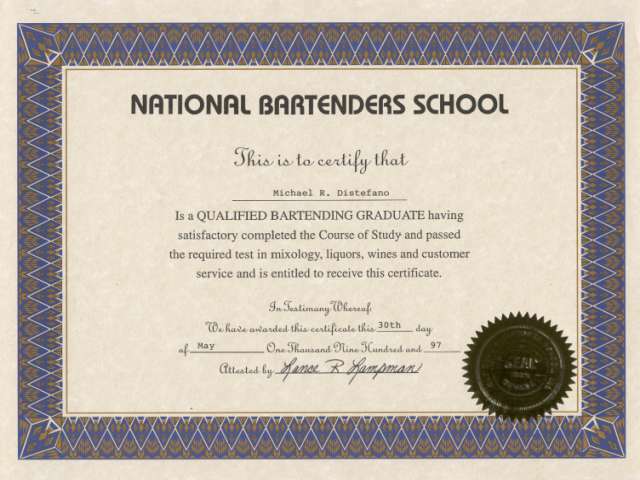 ∼ Wisconsin – The bartending school in this state has an alcohol certification online. 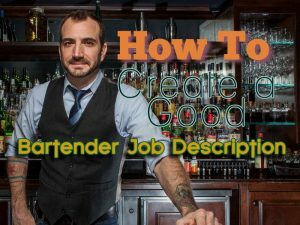 How to Write the Best Bartender Job Description and Get Hired Fast!